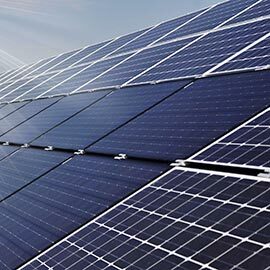 WATERLOO – Wilfrid Laurier University is embarking on a sustainable energy management initiative that will include solar wall installations, system upgrades and an energy audit at the university’s facilities in Waterloo and Brantford. The university will fund the project through a 20-year payback agreement that uses the energy savings to pay for the upgrades through an Energy Service Company (ESCO) agreement with Johnson Controls Inc. The initiative, led by Laurier’s Sustainability Office and Physical Resources, is aligned with Laurier’s Sustainability Policy, Sustainability Action Plan, Energy Management Plan and Campus Master Plan. During construction, an energy audit of all facilities located on both campuses will identify a series of Energy Conservation Measures (ECMs). Implementation of the audit recommendations will begin in the fall of 2016. The ECMs to be evaluated and implemented include more traditional measures such as lighting retrofits with LED technology, low-flow water fixtures, demand control ventilation, retro-commissioning, real-time metering, fuel-switching and heat recovery. Additional innovative technologies and measures will also be explored including combined heat and power with cogeneration and tri-generation, solar photovoltaic (PV), solar thermal, heat recovery/heat pump chillers, ground source heat pumps and energy storage coupled with micro-grid technologies and integration. The university will be working around academic schedules to minimize impact as much as possible. For questions, please contact Claire Bennett, manager: Sustainability Office. Since 2009, Laurier has worked to reduced greenhouse gas emissions by 18 per cent.